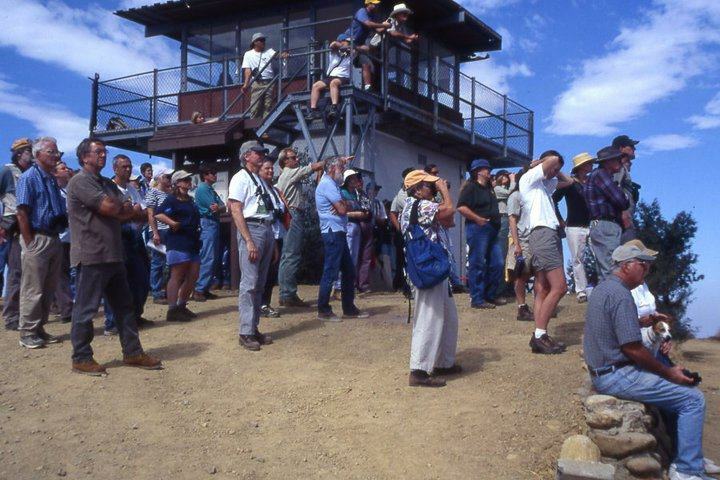 In the heart of the range of the reintroduced California condor sits Hi Mountain Lookout, a retired USFS fire lookout that has been restored back to life. Situated at 3198′ on the crest of the Santa Lucia Mountains, Hi Mountain is located in the Los Padres National Forest between Lopez Lake to the south and Pozo to the northeast, in San Luis Obispo County. Huff’s Hole, a historic condor and peregrine falcon nesting site, lies to our immediate southwest and is now a designated critical habitat area for California Condors. Standing on Hi Mountain, the view is a vast, magnificent piece of condor country. The Hi Mountain Condor Lookout Project is a joint venture between the Morro Coast Audubon Society, the US Forest Service, and the US Fish and Wildlife Service (with the Ventana Wildlife Society and Cal Poly Biological Sciences as collaborators) to monitor movements of the endangered California condor population from the strategically placed Hi Mountain Lookout. Recently, following a decade of vandalism and neglect, the Lookout underwent an amazing transformation. It is now a functional field-research station and interpretive center staffed by volunteers, students, and condor biologists. Once again, the Hi Mountain Lookout is enlisted for active duty, now in the name of endangered species conservation and field ecology. Condors tagged with radio transmitters are often recorded flying north and south past Hi Mt., and the Lookout has long been a strategic location for condor telemetry. The condors originate from release sites in the Ventana Wilderness (near Big Sur) and the Sespe and Hopper Mountain National Wildlife Refuge areas in Ventura County. Though we have often tracked the Ventana birds on “through trips”, we usually track Hopper birds to our southeast as they make excursions up to Cuyama Valley, Caliente Peak, and Lion Canyon. Morro Coast Audubon Society (MCAS) - The MCAS has a long history at Hi Mountain and provides major funding for the restoration of the Lookout and internships. MCAS will continue to manage the Hi Mountain Lookout, opening its doors as a research station and tracking base to the various groups involved in the project. US Forest Service (USFS), Santa Lucia Ranger District- The USFS built the Hi Mountain Lookout when fire lookouts were still important fire fighting tools. The USFS has long been an advocate of the California Condor and been instrumental in its recent reestablishment in California. 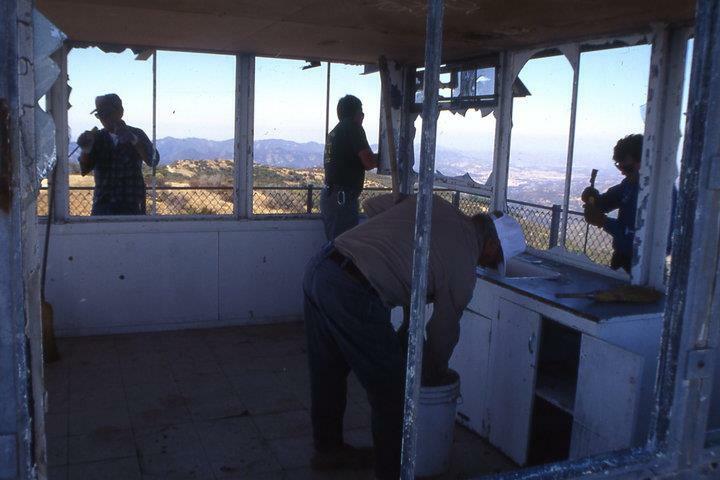 The Lookout is owned by the USFS, whose staff helps maintain the building and site. US Fish and Wildlife Service (USFWS) - The USFWS operates the Hopper Mountain National Wildlife Refuge Complex, and diligently manages and monitors condors in California. They have provided funding, training, equipment, resources and support for the Hi Mountain Lookout Project. Cal Poly Biological Sciences Department, San Luis Obispo- Lead by faculty advisor Dr.F.X.Villablanca, research students and interns act as volunteer staff for the Lookout and contribute radio telemetry data when onsite. The Cal Poly Wildlife Club has generated student interest and volunteers for the Lookout Project, as well as donating time and materials. The technical staff in the Biology Dept. has taken on a facilities maintenance role since 2011. They have contributed time, materials and expertise in order to help maintain the physical structure of the lookout. 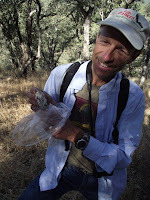 Ventana Wildlife Society (VWS) - VWS releases, manages and monitors California Condors on the Central Coast. VWS is based in Big Sur California, and works in cooperation with the release site at Pinnacles, near King City. A new supplemental feeding and condor release site at Rocky Butte in San Luis Obispo County has been established. 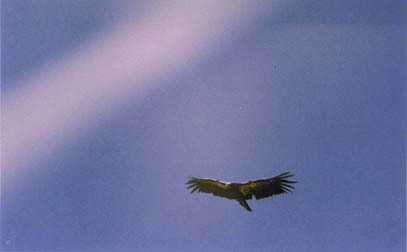 Pinnacles National Monument (PNM) – PNM, administered by the National Park Service, has been a part of the California Condor Recovery Program since 2003. The park now manages free-flying condors. 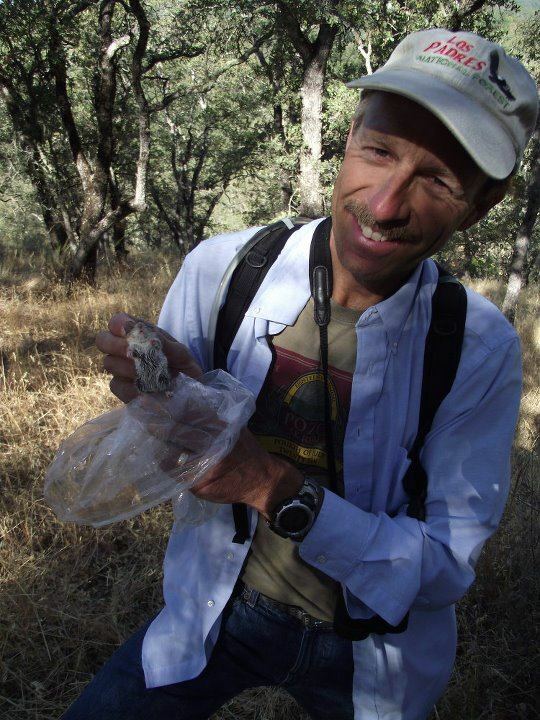 Each bird is monitored carefully after its release to increase its chances of survival. Management by park biologists helps newly released condors choose safe roosting sites and avoid hazards such as power lines, buildings, roads or trails, and lead-contaminated food. Ongoing activities: annual fundraising, volunteer recruiting and training, lookout staff scheduling, managing the lookout project e-mail listserv, website, and Facebook page, conducting planning sessions, hiring and training summer college interns, lookout maintenance and improvement projects, interpretive visitor center improvements, educational Hi Mtn.display board set up at conferences and meetings, slide show and power point presentations at conferences and local community meetings, and conducting the annual October open house event. 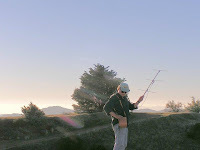 We are using the lookout as a platform for conducting California Condor radio telemetry, as a research station for conducting long term research in the stability and diversity of local plants and vertebrate populations, and enabling college students to complete part of their Cal Poly research-based graduation requirements. A number of Cal Poly Senior Projects have been conducted in the Hi Mountain vicinity and are now on file. The expected release and possible local nesting of condors at historic nesting sites in San Luis Obispo County will further the importance and emphasize the strategic location of Hi Mountain Lookout as a field research station and educational visitor center. We would like to expand and strengthen the volunteer work force year round, in addition to the summer intern program. Interested persons could help staff the lookout station for day shifts and longer periods of time (with overnight and housing facilities provided). Ultimately, we would like to see the interpretive and educational program expanded and strengthened. Always ongoing are the needs for facility improvements, maintenance, and repairs; in particular, road grading and maintenance of Hi Mountain Road for access and the construction off sanitation facilities for use by visitors and lookout staff are of upmost priority and necessary for the continued functioning of the lookout project into the future. Funding from MCAS and other project collaborators, donations, merchandise sales, and conducting special fundraising events will assist in meeting these operating expenses.